Excel Text to Speech - Learn All About It! 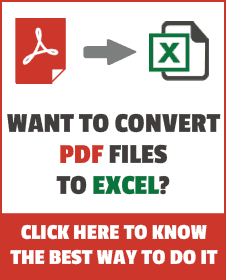 Excel Text to Speech – Learn All About It! >> Excel Text to Speech – Learn All About It! Excel Text to Speech feature was introduced in the 2003 version and has been retained in Excel 2013. While I believe the utility of this feature is high in Word, PowerPoint, and Outlook, it may sometimes be the tool you need in Excel as well. As the name suggests, it converts text into speech and can read out to you while you close your eyes, rest your head on a table and relax. Similar to the Excel Camera tool, even this feature is not readily available in the Quick Access Toolbar or the ribbon. 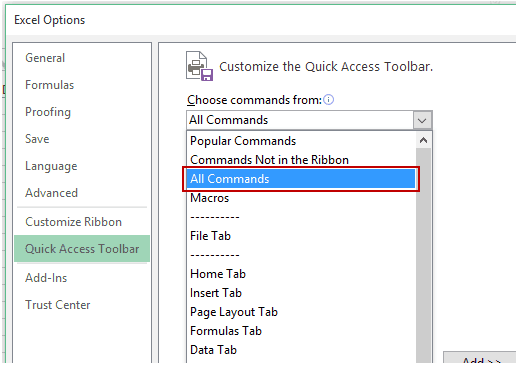 Right-click on any of the tabs and select Customize Quick Access Toolbar. It will open the Excel Options dialogue box. Scroll down the list below the drop down and select Speak Cells options. There are five options available to add to the QAT. You can add all five or only the first one. With the Speak Cells icon selected, click on the Add button. If you want to other speak cells icons as well, simply select in from the list and click on the Add button. Click OK, and it will add the Speak Cells icon in the Quick Access Toolbar. There are five icons that you can add for Excel Text to Speech feature. Speak Cells: When you click on this, it reads out loud the text in the selected cell or range of cells. Speak Cells – Stop Speaking Cells: When clicked, it stops the reading of the cells that’s in progress. Speak Cells by Column: When selected, Excel reads all the cells in the left-most column and then move to the next column to the right. At a given point in time, only one of two options (Speak Cells by Column & Speak Cells by Row) can be active. Speak Cells by Row: When selected, Excel reads all the cells in the top row (from left to right) and then move to the next row below it. At a given point in time, only one of two options (Speak Cells by Column & Speak Cells by Row) can be active. Speak Cells on Enter: When enabled, Excel only read cells when you press enter after selecting that cell. Select the cells that you want Excel to convert to speech and click on the Speak Cells button. Make sure you have the headphones/speaker plugged it. Excel tries it’s best to pronounce the text you enter. If you enter numbers, it will read out the numbers. If you enter random text which is not a word, it will read out the alphabets, but if it is something which is a word, it will pronounce it. I tried my name and I am quite pleased with how Excel pronounced it. Hope you enjoyed this article. Let me know your thoughts in the comments section.